Wonderful location in Beverly Hills. Bed was comfortable. Bathroom was okay. I chose this hotel for two reasons: location and price and it scored solidly on both counts, I found it hard to believe that I could find a place of any kind in the middle of Beverly Hills for roughly $100 a night including tax and parking fees. Staff was great! Place was clean for being as old a place as this. Comfortable and great location. Some of the front desk staff were helpful. Unfortunately, there was an inexplicable number of staff changes. And despite the police being called multiple times, the hotel management did not seem interested in resolving the issue until later. As a man alone on business, the location and price outweighed the hotel's shortcomings. The friendliness and helpfulness of the staff really shines. It is a cute, funky place in the heart of Beverly hills. Sometimes the funky was good and sometimes it was, well, funky. The location is amazing and the price is difficult to beat. There are lots of nearby restaurants. The people watching is, well, Beverly Hills. Dirty. Outdated. A crack hiuse in the middle of Beverly Hills. Shocking actually. The gentleman on the phone was unbelievably rude and I should have taken a note of that before I booked the place for my two visitors from Europe. He took their credit card and put it into the copy machine, both sides of the cc... when they asked why he did that he said that since it is a foreign bank he need to have that information. What the heck is that all about!!??? I told my friends to go ahead and cancel the card asap after their stay at the hotel. I have never heard of such a "policy" in my whole life of traveling!!!! The next day it was a female staff where my friends expressed this really uncomfortable routine, and she said that was not ok of him to do - HALLO!!?? You need better quality control on your employees !! But, then again maybe he was the owner....... HELP!!!! Hotel del Flores This rating is a reflection of how the property compares to the industry standard when it comes to price, facilities and services available. It's based on a self-evaluation by the property. Use this rating to help choose your stay! 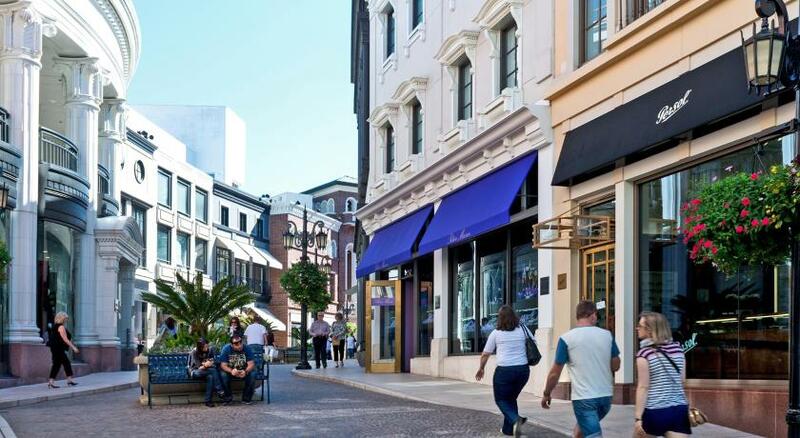 Rodeo Drive is less than a 10 minute walk from this Beverly Hills hotel. Guests can enjoy a shared front porch, and all rooms have a TV. The uniquely furnished guest rooms at Hotel del Flores offer free toiletries. A daily housekeeping service is available and free Wi-Fi is provided. All rooms are non-smoking. A 24-hour front desk is available for guest convenience. 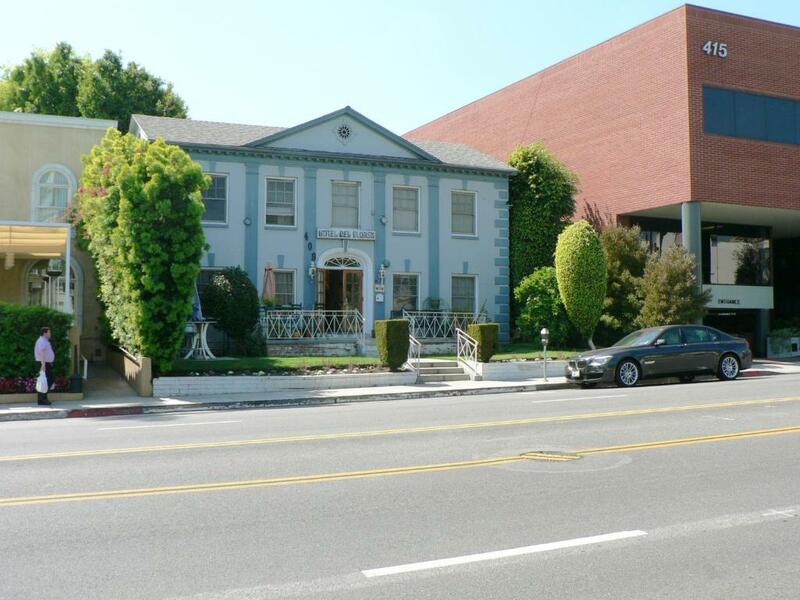 Paley Center for Media is a 5 minute walk from the Del Flores Hotel. UCLA is a 10 minute drive from the property. This is our guests' favorite part of Los Angeles, according to independent reviews. When would you like to stay at Hotel del Flores? Complimentary toiletries and a TV are provided in this room. 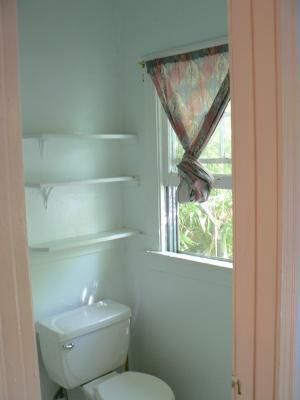 This room offers a private bathroom and includes a TV, free toiletries and a telephone. Please note: Rate is based off of 2 guests. Room can accommodate 4 guests maximum with an additional fee. Please contact property for details. 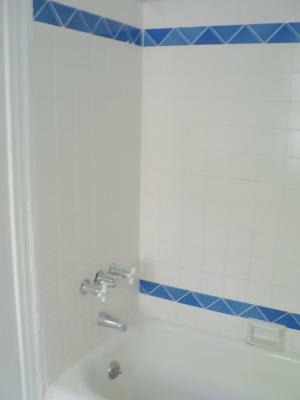 This room offers a shared bathroom and includes a TV, free toiletries and a telephone. Please note: Rate is based off 1 guest. Room can accommodate 2 guests maximum with an additional fee. Please contact property for details. Hotel surroundings – This neighborhood is a great choice for travelers interested in luxury brand shopping, restaurants and shopping – Check location Great location - show map Guests loved walking around the neighborhood! House Rules Hotel del Flores takes special requests – add in the next step! Any additional children or adults are charged USD 7 per person per night when using existing beds. Hotel del Flores accepts these cards and reserves the right to temporarily hold an amount prior to arrival. Please note that the property takes an authorization on the credit card upon arrival for the full stay plus 15% of the stay for any incidental charges. LOUD noises from outside. You hear the neighbour do his garden work. You hear a lot of noises. Staff is a bit itchy...room is 20$ too expensive. Hmm, I though a long time regarding what to write here, because they are not popular on eg Google reviews, which are not 100% fair. If you want a "new updated hotel" which works 100%, find something else. If you or someone you know, lives a place (eg. in the city) and not everything works or is 100% perfect, because it is old and its okay with you, then you should be okay with this hotel. Some people find "old and not perfect" charming. We are all different, but here comes my "room for improvements": In our room, there were an extra tiny room for storage. It smelled bad, almost like pee. I hope they will clean it. The last two days, the toilet didnt work. However the lady offered us a different room. Plus for that. The electric switch in the batchroom, was placed inside the shower? Is that safe? The carpet felt wird. Maybe it was just us or in our room. There were a garbage truck coming each morning super early, like 1 meter from our window, and it was not silent. Luckily we woke up ourselves rested, because we went to bed early. (but now you know about the garbage truck). The toilet door could not close in our room. Like everyone says, the location is awesome and fantastic!! 10 out of 10 stars for the location!! (Close to Rodeo Drive, Beverly Hills sign, restaurants and much more) The hotel teamed up with a parking building next to them (around 12 dollars a day). You get an accescard and can go in and out as much as you want. The parking place felt very secured and people parked much more expensive cars than our 2019 Cadillac XTS there. When we checked in at the hotel (you can park in front of the hotel free for 10 min), then the "young guy" walked to the parking place, to show us entrance, how it worked ect. Great service! The staff were kind and helpfull, but also seemed very tired. Good bed. After exploring LA the whole day, I could always sleep through the night. 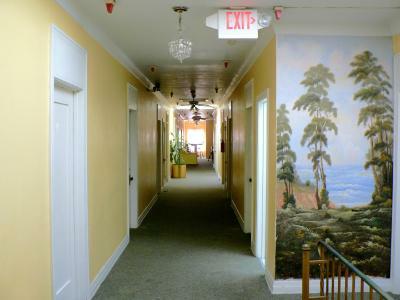 (we are tourist from Europa) The hotel design style were cosy and old elegance. The hotel price for the great location in Beverly Hills was very cheap (we stayed 4 nights). The hotel is in a very safe area in Los Angelas. We could also go out for evening walks, because it were a rich safe neighborhood. We didnt try the Television and other hotel options, because we were tired after exploring LA. The shower was looking fine and worked fine. Will maybe book there again, because of great location and price. Overall 8/10 stars from us. The checkin process for the hotel was a bit lengthy and involved. Could definitely be better. Location was excellent. Right in the heart of Beverly Hills. Parking was convenient and reasonably priced. It took about an hour to check-in as staff seemed somewhat slow. The shower was a dribble and the plug didn't work. The toilet kept fiilling periodically. The sound proofing was so bad that i literally could not make a phone call while the people in the adjacent room were talking. The bed dipped significantly in the middle and the room stank of cheap air freshener. The door could not be opened with one hand. No bedside lights. The room had heating and cooling available, and sufficient sunlight. It felt clean (although there were long black hairs in various places). Cute on the outside, cute as you walk in, and then the room itself was disappointing. As my fiance put it, we have been in motel 6 rooms that were better. . . Our bed screetched every second. Yes, screetched. We could hear the bed in the roomnext to us too. We could also hear when someone would come or go in their rooms because the doors were so old you had to slam them shut. Luckily our room came with it's own bathroom but the sink was next to the bed instead of in the bathroom. The tub looked like it hasnt been washed in ages. It could just be the tub was old. The thing that bothered us most was that there was a door connecting our bathroom to the next room. Luckily it didnt open (the lock was broken) but it was hard to sleep thinking someone could come into our room. Also, online it says they hold 15% on your card of what your total cost is to secure you wont destroy the room but they actually held 85% which took from our vacation spending for the next day. We liked the location and the staff.